This is a very interesting map. 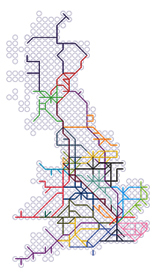 To get all these routes to fit onto that coarse grid of circles is quite clever. 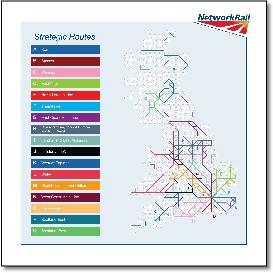 Luckily, having only to show groups of routes there is no problem with multiple colours. 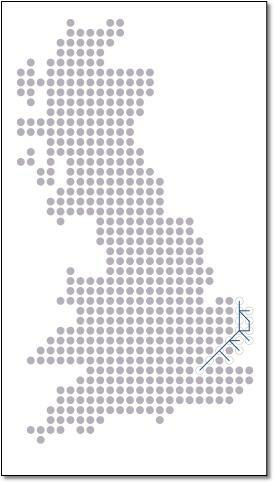 For the first time, a national rail map has the Goring gap (where north-south and east-west services share the same line) shown correctly at 45º. 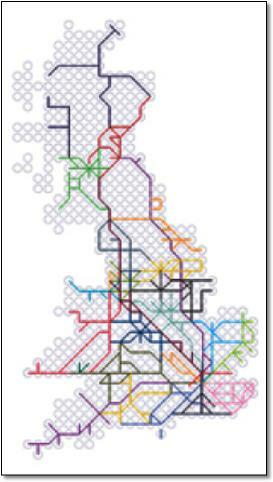 Probably copied from Project Mapping. These other just four examples (too many to show all of them) show how each route is shown in documentation.